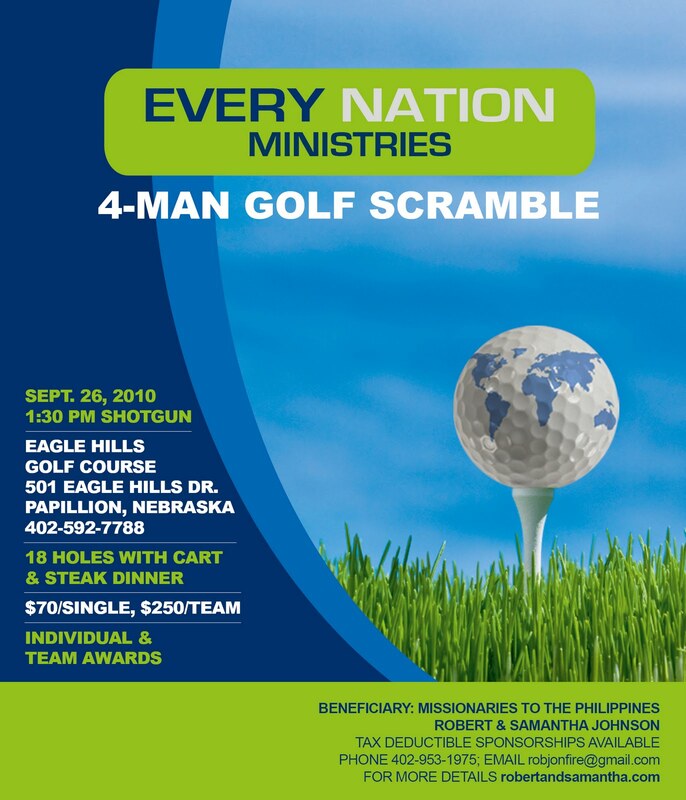 If you live in Omaha, Nebraska (or nearby cities), you are invited to join us on a golf tournament on September 26th! This is part of our efforts to raise our support for our upcoming missions work in the Philippines. We plan to be in Manila on January 2011 until July 2013. If you would like to know more about the event or the ministry that we are doing, please send an e-mail to happysammy [at] gmail [dot] com. Thank you!